Are you part of the Duggan Soccer Community? Great news, you can learn & train for the goalkeeping position with GOALKING this December 26, 27 & 28, fully sponsored by Duggan Soccer! For more information: info@goalking.ca / (Camps tab: www.goalking.ca). Register TODAY!!! Thanks to all the participants this September in the 1st MLS Montreal Impact weekend camp in Edmonton with GOALKING. MIFC got a great impression of our Edmonton players. GOALKING and MIFC are planning to offer another great outdoor camp in 2019, so keep visiting our website for new information about it. See you all next year! This year the Elite GK Training camp with SoccerPlus will be at beautiful NORTHFIELD-MOUNT HERMON in Northfield, Massachussetts, close to Boston. For SoccerPlus coaches and trainers, this is their favorite and most exciting camp of the season. This camp is scheduled from August 6th to the 10th in order to avoid conflicts with season finals and provincials. 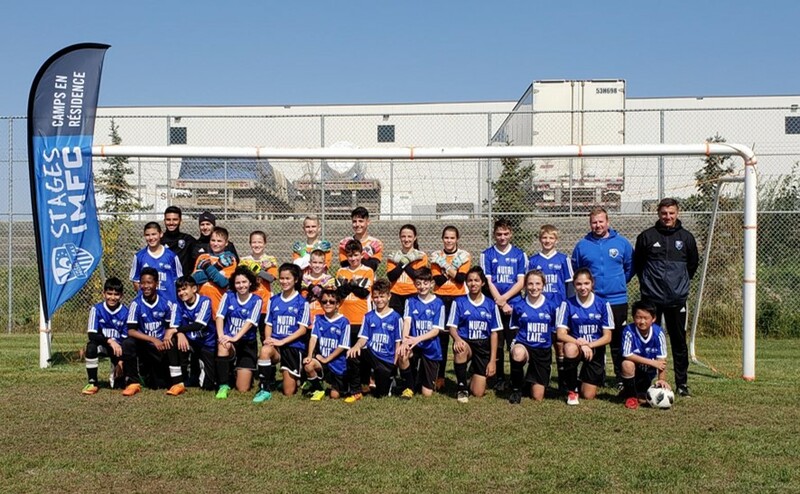 The invitation is for our goalkeepers, but this year the invitation will be extended to field players as the SoccerPlus camp in Northfield includes a separate training camp for field players. I will try to organize soon an info session for this amazing experience of learning and training at a Prestigious international camp. Last year, two of our goalkeepers who attended the SoccerPlus camp in Los Angeles with me were later selected for the Alberta Soccer Association Winter program, and a third one was chosen this winter as a trialist for the Elite REX program of the Canadian Soccer Association, which is the conduit program to play on Team Canada. These 3 keepers can attest to the value of the SoccerPlus camps. To attend this camp, you do not have to be a top player, as the camps have two different levels; however, one thing is for sure: the camp will help you improve, whatever level you are at. For advanced goalkeepers, there is a super intense NTC program; four of our goalkeepers have already received invitations to attend this more advanced level for the 2017 camp in Northfield. If you want more information in the meantime, you can send me an email with your questions to: armando@goalking.ca . Get ready! Do you remember SOCCERPLUS Camp in Los Angeles? it's coming, SOCCERPLUS Camp in Boston 2017! More information soon!! !